Georgia golf fans will have the rare opportunity to watch two of golf’s most decorated icons, Jack Nicklaus and Gary Player, compete as a team when the Liberty Mutual Insurance Legends of Golf returns to the Westin Savannah Harbor Golf Resort & Spa on April 22-28. With a competitive career that spanned five decades, Nicklaus has amassed 120 professional wins, a record 18 major championship titles, and golf’s coveted Grand Slam title. Despite playing a limited schedule after joining the Champions Tour in 1990, he went on to collect 10 additional titles, including a record eight major championships. Nicklaus’ last start at the Liberty Mutual Insurance Legends of Golf was in 2001 and he will be competing for the first time in the Demaret Division. 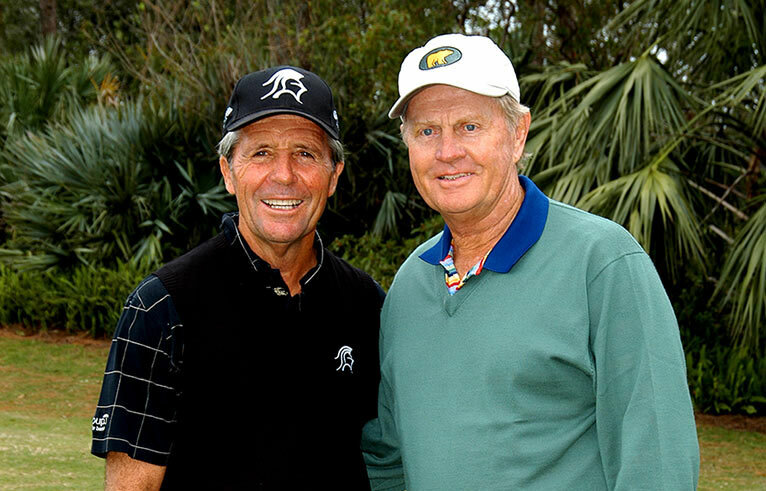 “I don’t play competitively any more but I still like to compete, and there is nothing I will enjoy more than doing so with my long-time friend Gary Player as a partner,” Nicklaus said. The winner of 165 titles around the world, including 24 PGA TOUR events and nine majors, Player is also one of just five players (Jack being one) in history to capture a career “Grand Slam”—winning each of the four major championships. A 19-time winner on the Champions Tour, Player captured back-to-back Demaret Division titles at the 2009 and 2010 Liberty Mutual Insurance Legends of Golf with then-partner Bob Charles. Liberty Mutual Insurance Legends of Golf defending champions, Michael Allen and David Frost, will be back to defend their Legends Division title. This year’s event will mark the tournament’s 11th year in Savannah. Tournament title sponsor, Liberty Mutual Insurance, has been a partner of the Champions Tour for the past 34 years. Spectator tickets are now on sale with special advance prices starting at $15.00. Weeklong ticket packages are $75.00 and include two Good Any Day grounds tickets and one ticket with access to the River Club, a climate-controlled hospitality pavilion offering a variety of food for purchase, premium cash bar, large screen televisions and views of the 1st and 10th tee on Friday-Sunday. Tickets may be purchased by visiting the tournament’s web site at www.LMILOG.com. A limited number of corporate sponsorship packages are still available, for more information contact the tournament office at (912) 236-1396.